Plant lily bulbs or divide existing ones. Dig up bulbs and divide bulb scales — plant in seed-raising mix. When dahlias have finished, lift tubers and store in a dry place. Trim back perennials such as penstemons, achillea, phlox and asters. Prune hydrangeas — garden lime will improve pink colour, aluminium sulphate will do the same for blue. Sprinkle a bit of lime around carnations, dianthus, gyphsophila and clematis. Plant hellebores — dig compost into soil before planting. Mulch fruit trees and berry fruit plants to prevent weeds, which compete for nutrients. Sprinkle a generous handful of Dolomite lime to each square metre around deciduous fruit trees. Dig and divide rhubarb now. Discard tough, old woody growth and save and replant young, vigorous crowns in well-composted soil. Start planting deciduous fruit and citrus trees. Citrus likes a sunny, well-drained position. Fruit tree pruning can start as soon as leaves have dropped. Protect cuts with pruning paste. Plant out strawberries, raspberries, gooseberries and currants. You can propagate strawberry runners from existing plants, providing runners are taken from healthy plants. 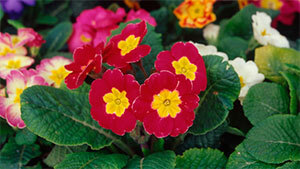 Replant in well-composted soil or elevated beds or containers. Plant garlic cloves into a light, well-drained soil in full sun — dig in plenty of compost and well-rotted manure before planting, or a general fertiliser high in potash. Garlic from a supermarket is often sprayed with an anti-sprouting chemical, so buy cloves from a garden centre or mail-order nursery. Plant cloves just below soil surface, 10cm apart. Cut back and divide globe artichokes. This is a good month for planting onions, including shallots and spring onions. Plant them in a sunny, sheltered spot in limed soil. Plant out seedlings of broccoli, cauliflower, Chinese cabbage, Brussels sprouts, endive, kale, leeks, lettuce, silver-beet, spinach and radish. Sow broad beans directly into well-limed soil. Peas can also be sown straight into the ground. Once you’ve collected autumn leaves for composting, your lawn won’t need mowing frequently, and then try to choose a dry, sunny day. June is a good month to carry out any mower repairs and maintenance. Plan new roses to plant this winter — check out your local specialist rose grower to see which varieties grow well in your area. 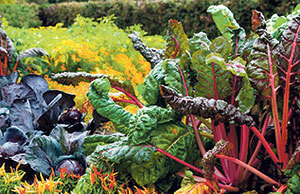 Prepare rose beds now by digging in plenty of compost or aged cow manure.